When a line was made famous by such timeless style icons as Brigitte Bardot and Jane Birkin, you know it's on to something. Launched in the '70s by Serge Bensimon, the eponymous line creates classically simple, yet luxurious footwear. 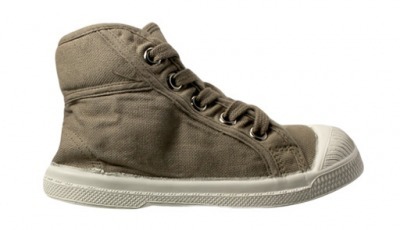 It is made of canvas and has a rubber sole and toe cap.